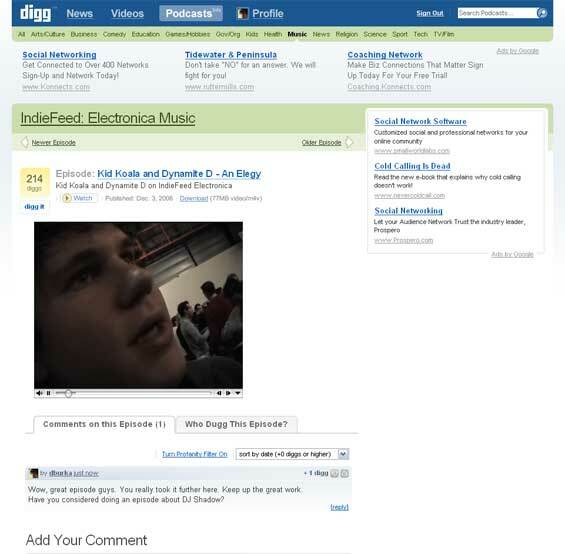 Later today, Digg, which just celebrated its second birthday, will release a number of new features. The primary release is the first content area of the site that isn’t news-focused. 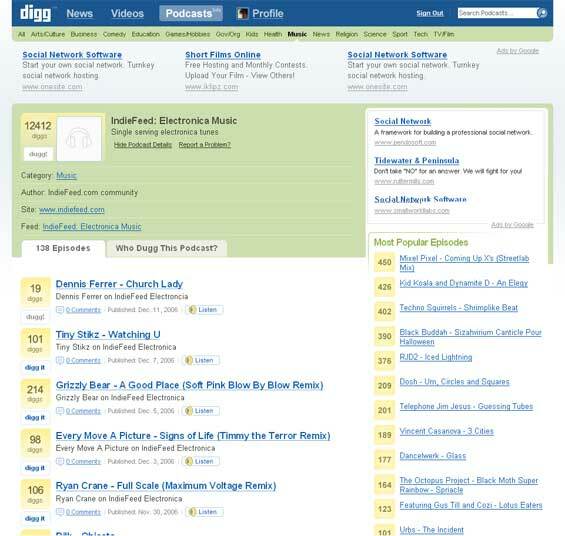 Users can now Digg their favorite podcasts (feeds and individual episodes). The podcasting homepage will list the most popular podcasts by category (comedy, gaming, health, etc.). Their aim is for Digg to become the first stop for people looking for good podcasts, which will have standard Digg voting, discussion, etc. The Digg team isn’t putting it this way, but it’s clear that this is an experiment to see if users will adopt the Digg model of voting on things to non-breaking news. If this is successful, look for Digg to launch new types of content areas on the site. 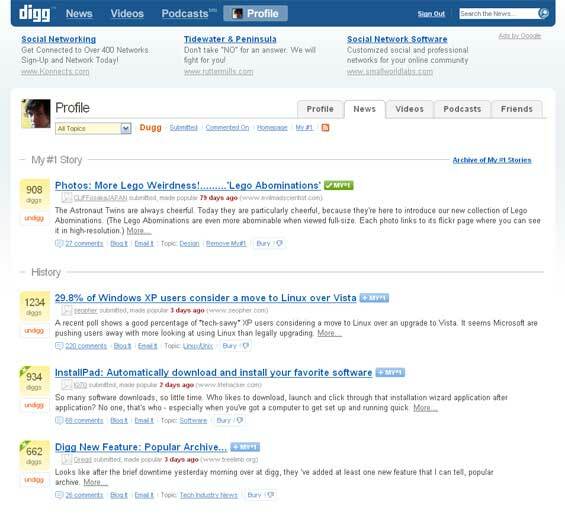 Technorati has a similar feature ranking blogs. Digg is now Widescreen: They’ve moved from a fixed width page to a flexible layout allowing users to make use of bigger screen real estate. Navigation links have been moved to the top of the screen. 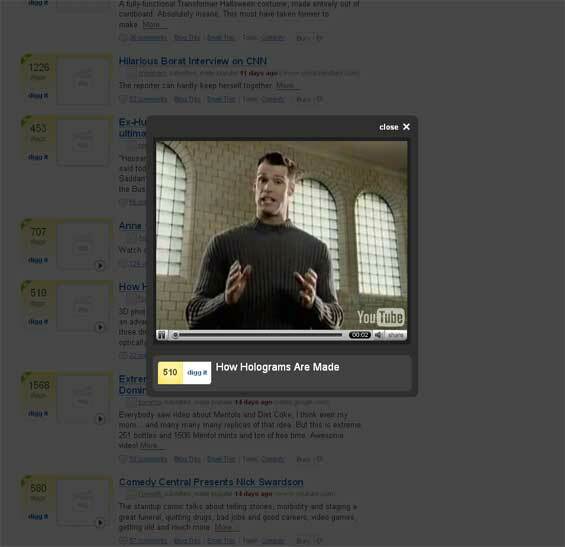 Video Enhancements: The main change here is a way to view videos directly on Digg in a lightbox. See screenshot for visual. I recorded a podcast with the Digg team to discuss the new features. We also discuss current user stats, the SpikeTheVote story (Digg now owns the domain name), and updates on financings and acquisition (“no comment”). Listen to the podcast over on TalkCrunch.